Geminids Meteor Shower, Bugle Hut, Mallee. Photo Grant Schwartzkopff. HOPING to catch a glimpse of the Christmas comet this weekend? 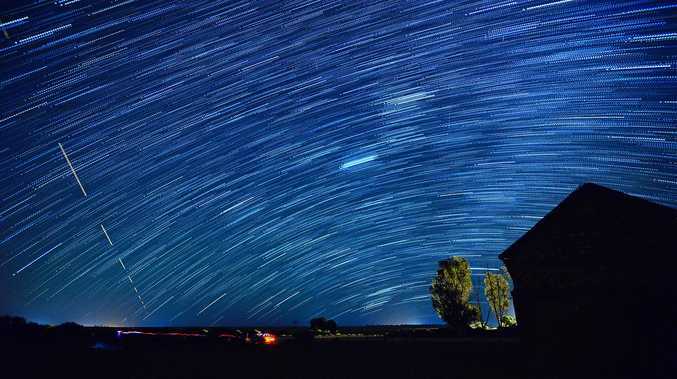 Here's when and how to watch the night sky to see the Geminids Meteor Shower in Brisbane. 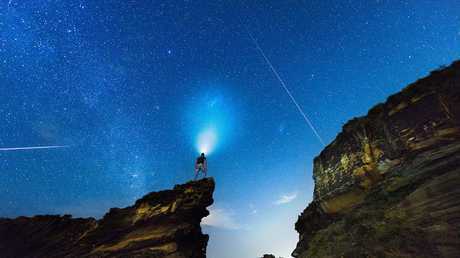 Andrew Cooney watching the Geminids Meteor Shower on Killcare Beach, NSW. Picture: Andrew Cooney. What is the Geminids Meteor Shower? The Geminids shower or 'Christmas Comet' is considered one of the most remarkable and consistent meteor showers of the year. It is named after the Gemini constellation as it is where the meteors appear to emerge. The meteor shower happens annually every December, this year's active period is from December 4 to 17 with the most visible period happening this weekend. On a clear night and armed with a pair of binoculars or DSLR camera you should be able to catch a glimpse of the spectacular event. 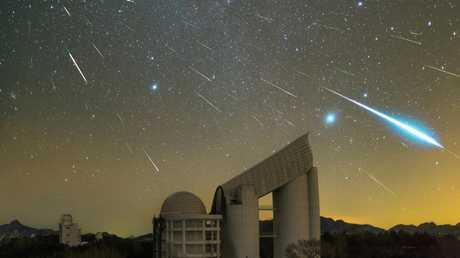 When is the Geminids Meteor Shower? The meteor shower is already visible if you have the right equipment but the brightest visibility should occur all weekend with peak night being Friday 14 December night. The meteor shower will be visible from 9pm - 5am each night from all over Queensland. Geminids over the LAMOST Telescope, Xinglong Hebei Province, China. Picture: Yu Jun. If you're able to head away from the city lights, the meteor shower should be visible to the naked eye on a clear night. Once you've found a secluded vantage point you'll need to wait around 20 minutes for your eyes to adjust to the darkness. Make sure to dress for the weather as it may be cold late at night this weekend. For the best photos you'll need to travel outside of urban areas where the night sky is dark. Although you can snap a photo with almost any camera, having a camera that allows you to manually control the exposure will be best. If you have a DSLR handy be sure to bring it along. A wide-angle or fisheye lens will be best for a great shot covering more of the sky. Popping the camera on a tripod is necessary for the perfect shot as you'll be taking long-exposure photographs. Be sure to bring extra batteries for your camera as cold nights drain camera batteries faster.